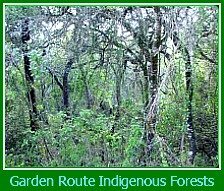 In 1776, the Dutch East India Company employed the first Knysna forest woodcutters. 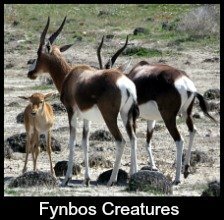 A Post was established for them at Swart Rivier in the George District. 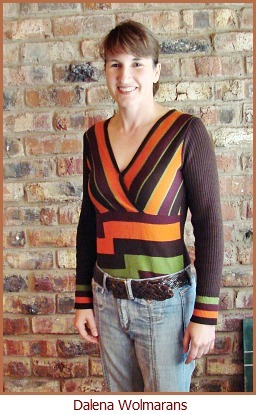 In those early days some of the woodcutters were of Scottish or English descent but they eventually merged with the Dutch-Afrikaaner majority. Unschooled and isolated from society the Knysna forest woodcutters lived miserable lives dominated by poverty. 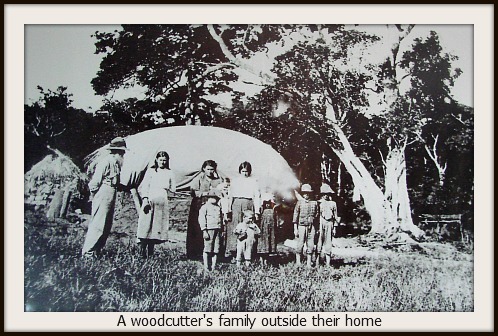 Living in crude huts made of reeds, clay and a mish-mash of other materials, they didn’t care to invest in good structures because they built in the forest on government land. They married young and inter-marriage was common. Close-knit and industrious, some never saw a town in their lifetime. They worked extremely hard for little reward being exploited by the timber merchants who iniquitously underpaid them. 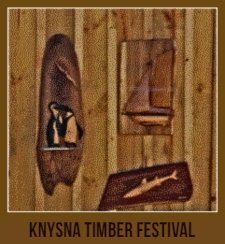 The Knysna forest woodcutters laboured deep in the forest for weeks at a time. It could take a family group days and even weeks to hew a great tree into planks and sleepers. 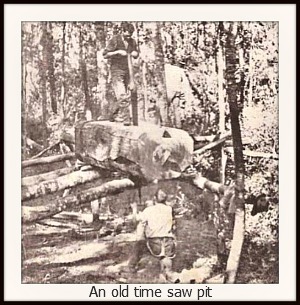 Once they had cut the trees to manageable lengths they used oxen to drag the timber along slip paths, made by generations of elephants, to where the merchants could load it on wagons and transport it into Knysna. 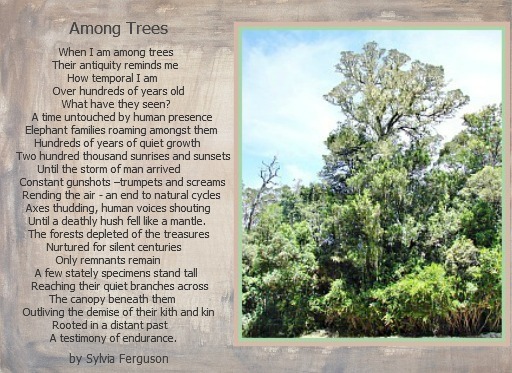 For more than 100 years the fiercely independent Knysna forest woodcutters suffered little interference from outsiders and worked the forests as they saw fit. 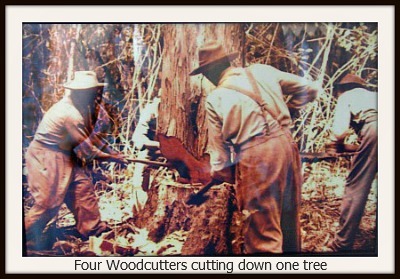 They were masters of their craft with saw and axe but they were responsible for the indiscriminate and wasteful felling of many magnificent indigenous trees. Stinkwood was amongst the most popular. 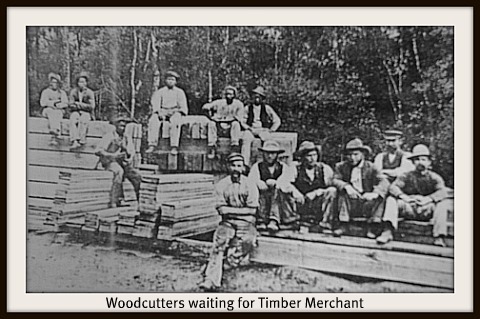 The timber was used for shipbuilding, building materials, carts and wagons. 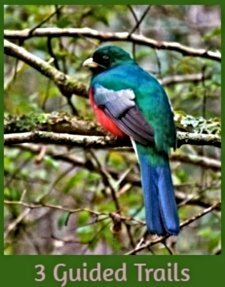 It is now the rarest and most valuable wood in the forest. For the first trains, heavy ironwood was cut for railway sleepers. 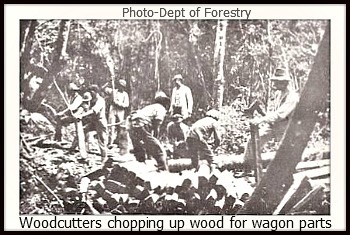 Forest management was unheard of and by the early 1800’s people were starting to see that the unbridled demand for timber was threatening the long-term survival of these forests! 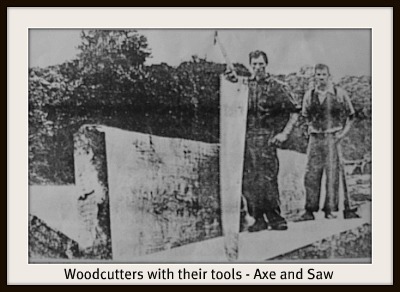 Ineffectual attempts to manage tree felling were made by individuals at different times. Johann Friedrich Meeding placed in charge of the Plettenberg Post allowed only woodcutters under contract to the Dutch East India Company to cut timber in the Knysna Forest. From 1778 until 1811 his controlled and protective measures reduced the haphazard and wasteful practices of the woodcutters. Then for 14 years from 1811 – 1825 the British Navy were given control of the forests for the purposes of the shipyards. After that various local authorities without any experience allowed a growing population of woodcutters to recklessly exploit the forest reserves again. A part time Conservator, John Kentall Haswell together with four forest rangers were appointed in 1847 and this began to improve the situation. In 1856 Captain Christopher Harison was a second appointed part-time conservator of the forests at Witelbosch in the Tsitsikamma. He introduced a cyclic system of timber harvesting by dividing the forest into sections and systematically allowing each section a time to rest and regenerate. In 1869 dry conditions precipitated a devastating fire that raged from Mossel Bay to Humansdorp. The catastrophy galvanised the government to increase their supervision of the Crown forests. 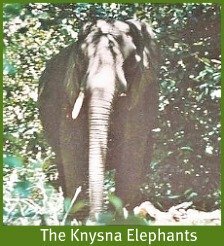 They consolidated the George, Knysna and Tsitsikamma Forests and Harison was appointed the first full-time Conservator of the forests in 1874. 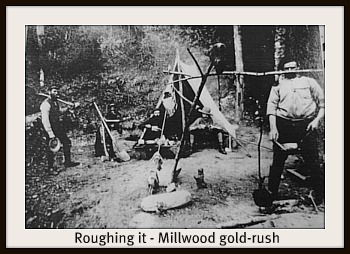 In 1879 the Millwood goldrush got properly underway, the prospectors being initially granted timber concessions. The frenzy lasted a mere 15 years before it petered out. 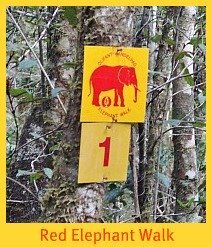 Combined with the vastness of the forest, it made forest management extremely difficult. In spite of increasing restrictions the Knysna forest woodcutters stubbornly stuck to their trade refusing government attempts to encourage them towards other types of employment. 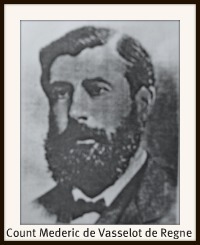 In 1880 the Count Mederic de Vasselot de Regne was appointed the Superintendent of Woods and Forests by the Cape government. During his 12 years in office professional forestry officers were employed under him. 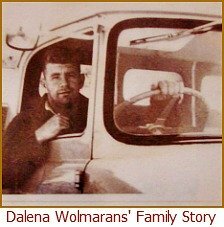 He published several manuals about forest management and timber harvesting. 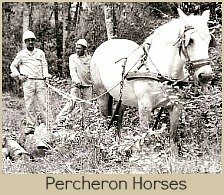 Under his supervision the first relatively quick-growing timber plantations were established to reduce the pressure on the indigenous forests.